I think there’s a constant travel/adventure clock ticking in my head, and every few months it dwindles down to zero. I need to book a flight, plan another adventure, or take on another challenge. Maybe this is just who I am — and what I’ll do for the rest of my life. Maybe it’s my own personal compromise for living in New York City, a place that I need to escape from every so often. Either way, I just pressed that ‘purchase now’ button on KAYAK.com and experienced that awesome feeling of adrenaline. In November, I’m going to San Francisco — the city I eventually want to maybe/definitely move to — to stay with one of my nearest and dearest friends, Julie. 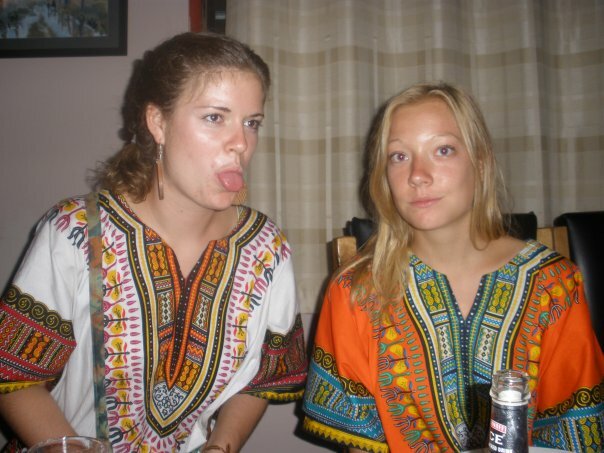 We met in Ghana and became fast friends. She is who I’d go running with at 5 am before it got too hot out. We’d drink tea together, hand-wash our clothes together, and talk about the meaning of life together. We soaked in every ounce of the magic that was our experience in Ghana, and spent many mornings and evenings reflecting on some incredibly special moments. 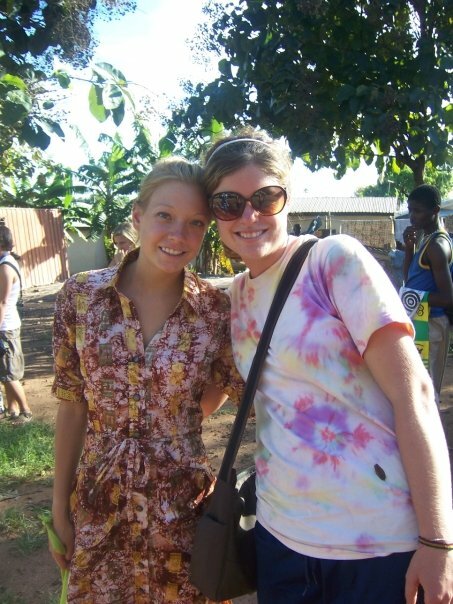 We stayed in touch after we returned back to the States, and then she went into the Peace Corps for two years. She returned this winter, so we were very overdue for a visit. Plus, I mean…she lives in San Fran. From the word “Go” you’ll be heading, up, up and away into the thick wooded trails of Muir Woods. You’ll follow the legendary Dipsea trail to Steep Ravine, where you’ll climb a wooden ladder, march up natural rock and wooden staircases and scramble under tree trunks. Along the way, enjoy the sounds of babbling brooks and waterfalls. Drink in the fresh smell of the towering redwoods and oaks that surround you. 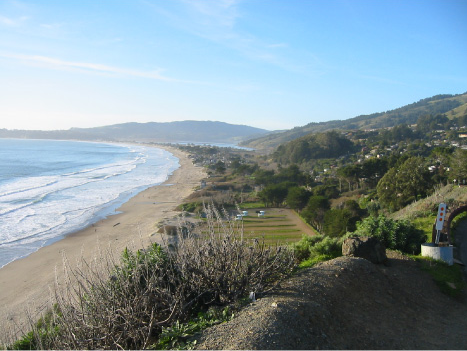 Your summit will be rewarded with panoramic vistas as you begin your descent back into Stinson Beach. And I die. I also think getting on my return-flight home will be a real struggle. See you (kinda) soon, west coast. Posted on August 17, 2013, in Uncategorized. Bookmark the permalink. 3 Comments. I know I always say this, but I love your life! Sounds like a blast and I cannot wait to hear about that race! (: we do have our own adventure coming up next month. so glad you’re back on the roads! !